...but that's not what I want to talk about today. Rather, we'll discuss the origins of the famous gold shirt. On a real world level, its orange color is meant as a contrast to his green pants and the blues of the ocean environment. He really pops! And the scale-mail armor kind of texture evokes a fish's scales, though few fish are actually orange (more on this in a minute). So as Giffen tells it, the gold shirt isn't just a random fashion accessory. It's an Atlantean convict uniform (potentially, only for political dissidents). His first encounter with his people saw him captured and thrown in the clink - a facility known as the Aquarium, hence the A on the belt - which is where he was handed the costume (apparently the female convicts wear the completely dissimilar unitard that would later be worn by Mera). 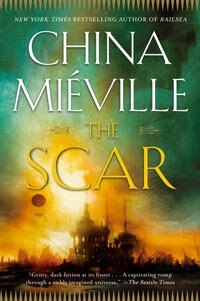 He learns the language from Vulko, at this point just a professor of advanced culture, and eventually escapes prison, starts his career as a superhero and eventually returns to an Atlantis freed from its repressive regime. And through most of it, he kept the prisoner's uniform. In the mini, he even uses it to infiltrate the prison. In the story, he explains that he kept the look as a reminder that it would never happen again, his promise that Atlantis would not jail political dissidents again. 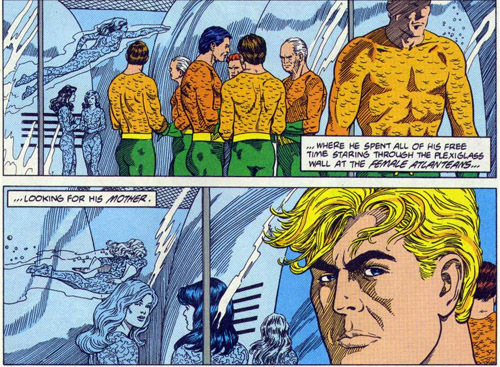 That's... not entirely honest, because Aquaman spent years not dealing with Atlantis after he escaped. Perhaps then it was a reminder, or a flag of dissidence, setting himself apart and in opposition to what Atlantis represented at the time. When he became its king, it was a subversion of the prior regime, a reappropriation of that symbol. Obviously, Mera came from her dimension already dressed in the green uniform, so it's a weird coincidence, but perhaps Giffen is saying that she only started wearing it as Arthur's queen, for the same reasons. But why should THAT be the uniform of a prisoner? Contrast may be part of it, the color popping against the murk of the ocean floor, much as modern prison uniforms might be bright orange. Looking at fish that wear those colors, the most famous are the Clown Fish (a way to discredit political opponents?) and the Goldfish, going round in circles in a prison-like bowl. Of course, these links can only be made if you're an English-speaking landlubber. But it might have been part of Giffen's thinking, or even Paul Norris and Mort Weisinger, all landlubbers so far as I can see. 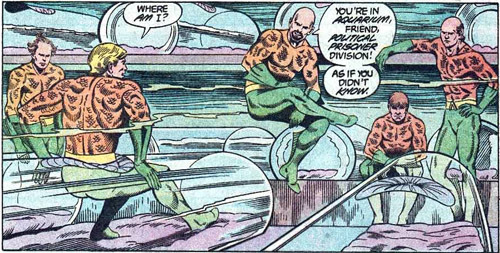 Aquaman just sounds better than The Goldfish. I'm really enjoying this feature where you look back at old categories! Certainly allows for variety! Thanks for the support! 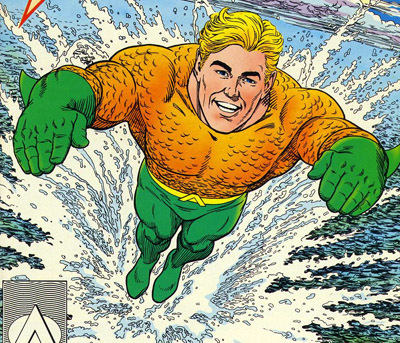 Aquaman's history kept getting replaced at that time. When Peter David came around this was pretty much completely forgotten, but it sounds fascinating and well worth a new collected edition for these times.